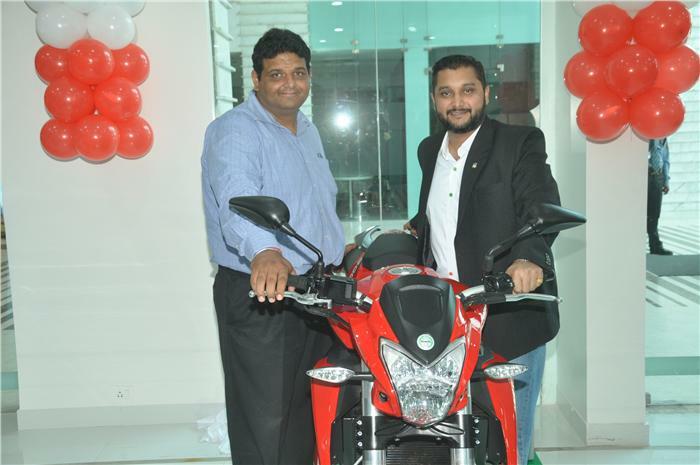 Italy based popular 2-wheeler maker DSK Benelli has opened a new showroom in Chandigarh. With this, DSK Benelli is further widening its network after its dealership launch in Indore, last month . Started under the dealership of “AAW” this exclusive showroom’s service centre would be located in the City Emporium Mall, Phase 1 of Industrial Area. Our main focus is to align DSK Benelli’s presence across all strategic locations in order to generate strong brand eminence and Chandigarh in that respect, is one of those key markets. The dealership will not only act as a platform to sell motorcycles but also a place for DSK Benelli superbike enthusiasts to interact with other bikers and share their love for the Italian biking legend. The newly opened showroom in Chandigarh would be featuring the whole catalogue of DSK Benelli bikes. Some of the popular bikes in DSK Benelli’s TNT range like TNT 300, TNT 600i, TNT 600 GT, TNT 600 GTS, TNT 899 and TNT R would be made available in this showroom.